Clear all jellies and reach 128000 points to complete the level. This level has hard difficulty. For this level try to play more from bottom to shuffle the candies and as you have more candies to play then try to make special candy. Combine special candies with each other to break more blockers and jellies. Or take help from the video below. You had one color bomb already! 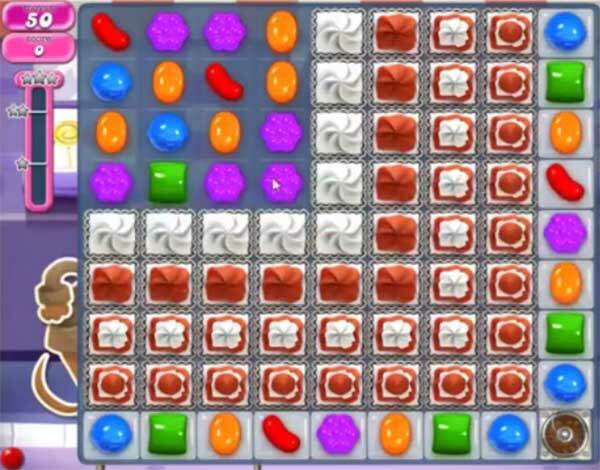 Are you going to increase the moves or give some great color bomb stripes candy combos or do you want us to quit? Ridiculously difficult impossible level. King has to stop making levels that you absolutely have to buy something in order to go through the level. It is just a ridiculous and childish way to try and make money. I will not suc”removed”b to su** a money grab ploy. Neither should anybody. You’re laughing at the very people who make your game popular. Ridiculously crazy level.after buying extra moves twice and using all the possible boosters could not clear this level. I think I will stop playing because I am not going to buy anymore. This is certainly not fun anymore.